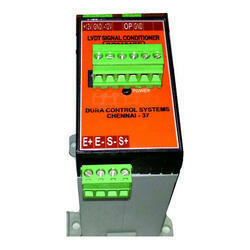 Manufacturer and supplier of Signal Conditioner. 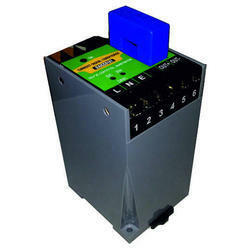 Our product range includes Signal Conditioner For Load Cells. These conditioners are widely used for conditioning the signal from various sensor like RTD, Load cell, Strain Gauge, Resistor network bridge and many more. Equipped with high order of filters, it ensures completely noise free output signal. Our range of Signal Conditioners operates in 24V DC supply. We welcome queries from Tamil Nadu including Chennai, Madras, Coimbatore, Kanyakumari, Nilgiris, Tirupur, Vellore, etc. 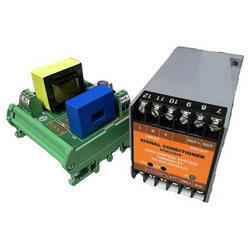 These product offerings for highly accurate electrical current measurements for industrial and laboratory applications to Preventing Overload, Monitering source Current etc.. Current Signal Conditioner measures both AC and DC current and converts it to an industry standard output signal by amplifiying through signal conditioning which is directly proportional to the Load current. Output signal from the Conditioner is completely isolated from the Supply Voltage. Power supply: 230VAC, ± 10 %, 50HZ. Completely isolated between the Load current and the Output Signal. Fast response DC output based on the input current AC / DC. Suitable for DIN rail mounting Enclosure (EN50022) with a dimension of 70x60x111 millimeters. Multi-Stage Filters for Completely noise free Signal Output. Input Range = 10A to 100A AC / DC. Output Range = 0-10VDC / 0-5VDC / 4-20mADC / 0-20mADC. This product offerings for highly accurate electrical current measurements for industrial and laboratory applications.Current transducers measures both AC and DC current and converts it to an industry standard output signal by amplifiying through signal conditioner which is directly proportional to the measured input current.These transducers provide an output which is based on the load current and also completely isolated from the input supply. Complete isolation from the load current. industry standard (0 to 10VDC). We are responsible in manufacturing and supplying comprehensive assortment of fine quality LVDT Signal Conditioner to our valuable customers. This device is mainly designed for conditioning LVDT signal. We make use of high grade raw components and advanced machineries to manufacture this device. International quality standards are maintained at the time of manufacturing this product. We try to keep price of the product low. Used for optimizing the LVDT signals. Multi-stage filters for completely noise free output signal. Fast response DC output based on the input Signal. Excitation voltage for LVDT: 5VAC @ 4.7KHz. Widely used for different aplications at standard enclosure, Suitable for DIN rail mounting EN50022. This type of signal converter converts resistance value to a DC Voltage or Current signal. Wide range of Zero and span adjustment. 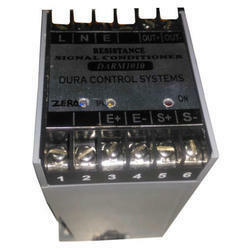 Input resistance range as per customers specification. Industry standard output 0-10VDC, 0-5VDC and 4-20mA. Response time less than 25mS(Approximately). Multistage filters for completely noise free signal output. Operating Voltage: 230VAC @ 50HZ, ±10%. Standard enclosure suitable for DIN Rail mounting EN50022. We are specialized in manufacturing and supplying wide varieties of high quality Industrial Signal Conditioner. This device is used for optimizing load cell signal. One can understand the load cell capacities by using our signal conditioner. High quality raw components and testing techniques are used for manufacturing this product. This product is highly appreciated by all the customers because of its excellent quality and optimality. In this device current transmitter option is also available. It is extensively used for optimizing the signal from different sensors such as load cell, RTD, Resistor Network Bridge or strain gauge. 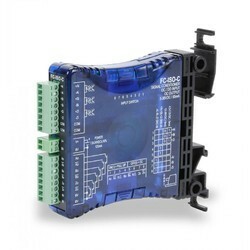 Looking for Signal Conditioner ?